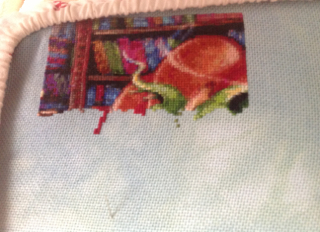 StitchyDonDesigns: More Dragon Progress and a Crazy Finish !!!! More Dragon Progress and a Crazy Finish !!!! More dragon progress in a few days when I should be near the halfway mark. Congrats on the finish Donna and great progress on the dragon. I'm in the same boat as you I seem to be stuck on page 1 of my SAL piece. LD looks amazing though, it's a colour fest, love it! 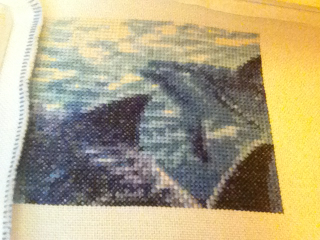 The Dolphins look great too and coming along nicely. I wish I had time before work to stitch but I'm normally running around frantically trying to get to work on time LOL! The dolphins look so nice. What a great idea to stitch an hour before work! I never get out of bed until the last possible minute! And the Dragon Starts to Appear !!!! Some Bloggy Changes and August Aims ! !